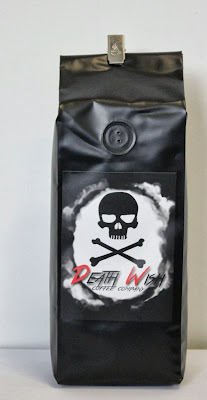 It is said that Death Wish Coffee is the world's strongest coffee ever! It is made out of robusta coffee beans which are much higher in caffeine than Arabica coffee beans. 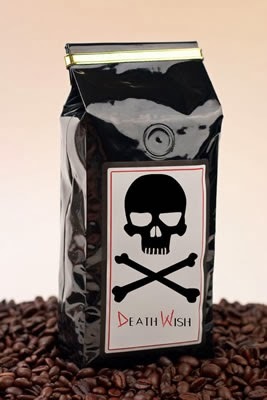 It is said that this coffee contains 200% more caffeine than a standard cup of coffee. Consumers must follow Death Wish Coffee's brewing instructions to arrive at the advertised caffeine content. They recommend using 2 1/2 tablespoons of finely ground coffee per 6 fl. oz. of water. If you want to order this coffee, it is available from Amazon here for only $20. I am so going to try this coffee!